Due to the high volume of tourists each year (over 15 million vs a population of about 120,000), it's no surprise that eating, drinking and sightseeing here comes at a premium. 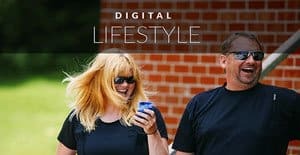 However, I’m here to share with you how you can make the most of your time in Bruges on a budget. No waffle or beer left behind. How to spend a weekend in Bruges on a budget. Bruges, Brugge, or however you choose to call it, this picturesque city in northwest Belgium is sure to please. It’s a city you can conquer in a week, a day or even a few hours and not leave disappointed or hungry. On first glance, getting to Bruges can seem a bit complicated, but there are actually many ways to travel. Train- We arrived via a 3.5 hour train from Amsterdam (well, technically four trains after three transfers were said and done) into Station Brugge which is only a 15 minute walk from the city center. Car- If arriving via car, you can park for cheap at the train station for €3,50 per day with a free transfer to the center. You can also park in the city itself for approximately €10/day. Air- If flying, you can take advantage of the train that leaves directly from the Brussels airport and takes only one hour. 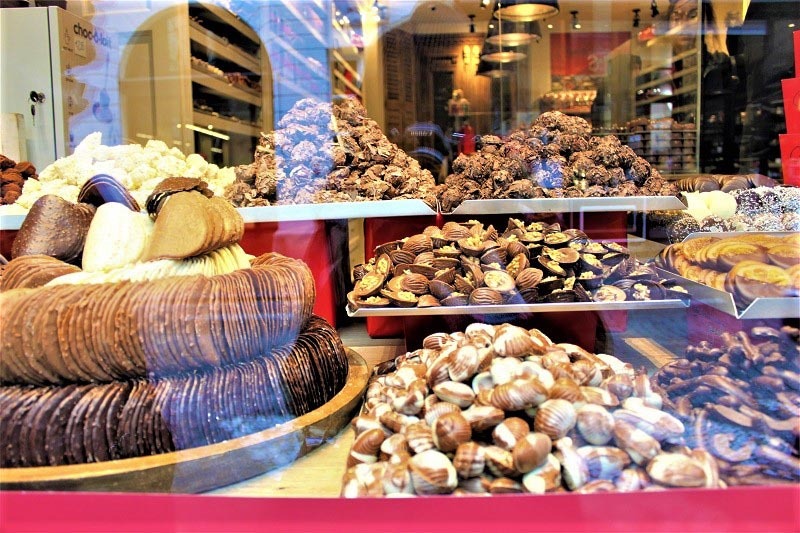 One of the best free activities to do in Bruges on a budget is to wander Wollestraat, a street lined from start to finish with chocolate. Many of them offer you a taste. The trick is to make sure you look innocent and not like you are just there for the free samples. 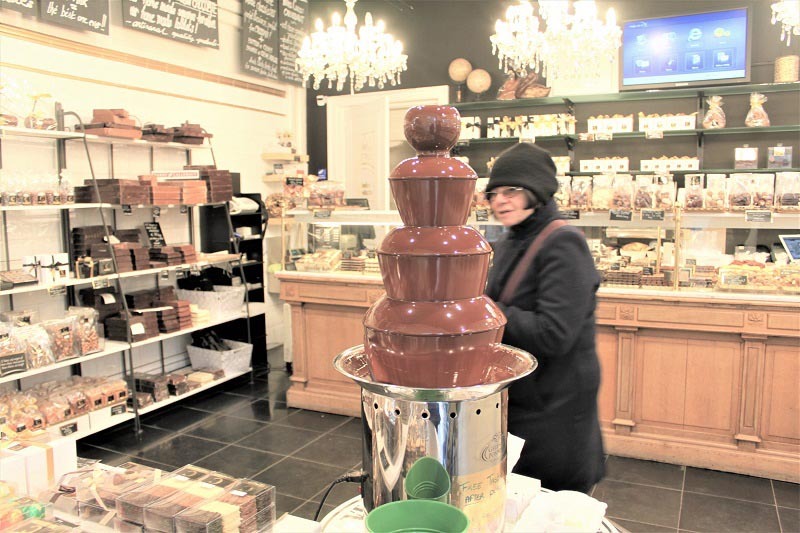 However, if you do need the incentive to purchase, there is one chocolate shop called Confiserie Crevin that allows you to use their chocolate fountain after purchase. What is a trip to Belgium without a waffle, anyways? One thing you must know is that there are two types of waffles served in Bruges. There’s the Brussel waffle which is the one you traditionally think of: light, crisp and rectangular in shape. Similar to the kind you’d make at home. Liege waffles, on the other hand, are made with a thicker batter. Their consistency is much more substantial, similar to that of a cinnamon roll, and they are more likely to have uneven edges. 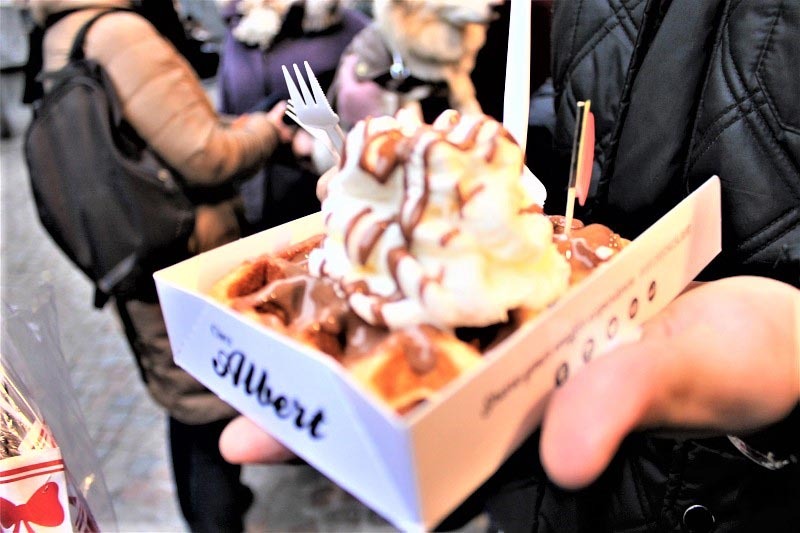 The waffle pictured above is a Liege waffle with chocolate and whipped cream for €4,50. We bought this at Chez Albert (next to Burg Square) and split this bad boy two-ways (therefore costing us €2,25 per serving in true Bruges on a budget style). It was the most delicious waffle I’ve ever had in my life, but also super sweet, so splitting it did not leave us feeling deprived. Well worth every euro, I'd say. 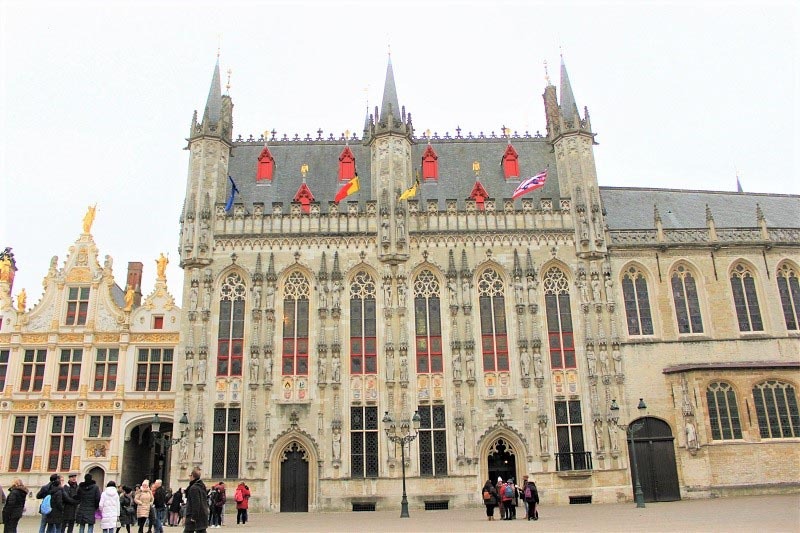 After your waffle, head to Burg Square to check out the beautiful Gothic Town Hall or Stadhuis, dating back to 1376. The architectural styles you'll find in this square range include Gothic, Renaissance and Neo-Classicist. From the square, continue your walk to explore the colorful alleys that lead you to the canal. It’s beautiful, free, and oh-so-photogenic. The tour of Brouwerij De Halve Maan Brugge takes 45 minutes and cost €10 per person, which includes a free drink of their blonde beer afterward. This family-run brewery dates back to 1856. Throughout the tour, you will see the blending of new and old brewing techniques, and will even see the pipe that brings beer from the brewery, underneath the streets of Bruges, all the way out to their bottling plant. 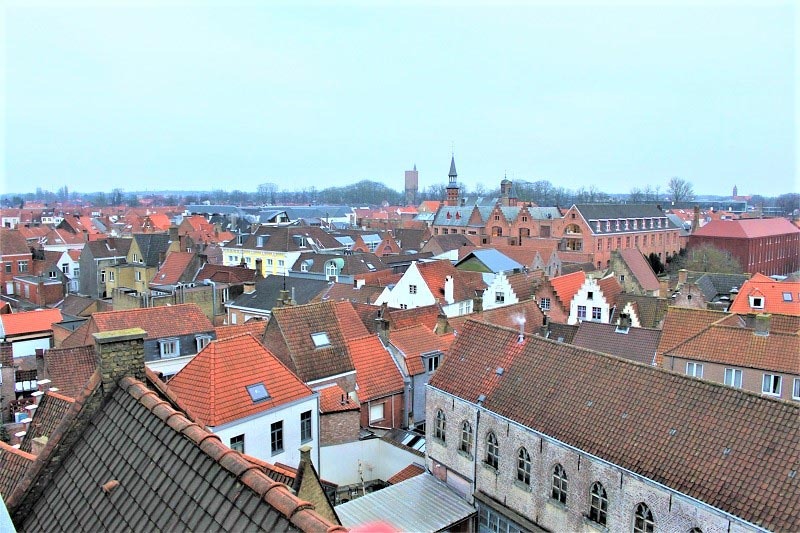 An added bonus is that you can go up to the top of the brewery and experience a panoramic view of the city, saving you the €10 you would’ve spent going up to the top of the Belfry of Bruges. 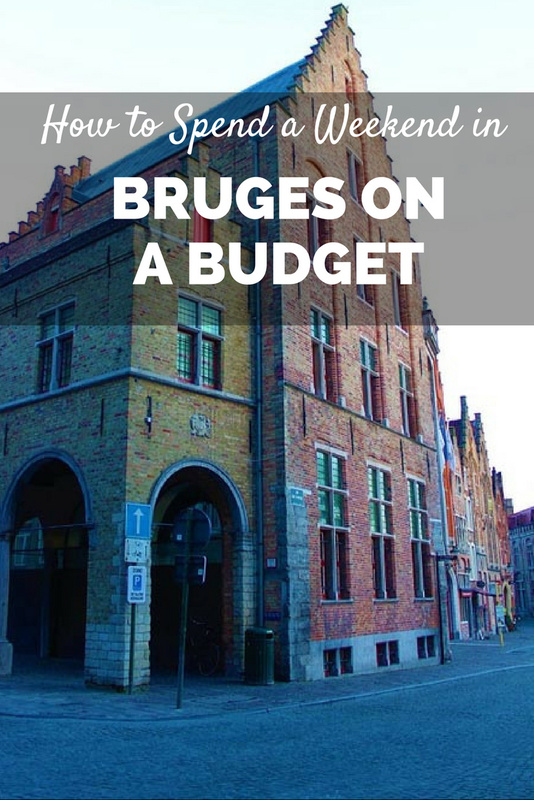 Win-win for seeing all the sights of Bruges on a budget. Just trust me on this one. If you need further convincing, I should mention that Flemish Stew gets its rich flavor from the dark beer that is one of its key ingredients. The beef is tender, flavorful and melts in your mouth. Food in Bruges is expensive, but to keep this in our Bruges budget, we split the stew and a bowl of fries. Stop in any pub along the way to try some of the local beers on tap. They are exponentially better than any beer you’ve ever tasted in your life. For real. Many pubs also offer flights so you can taste a variety of what Bruges has to offer. 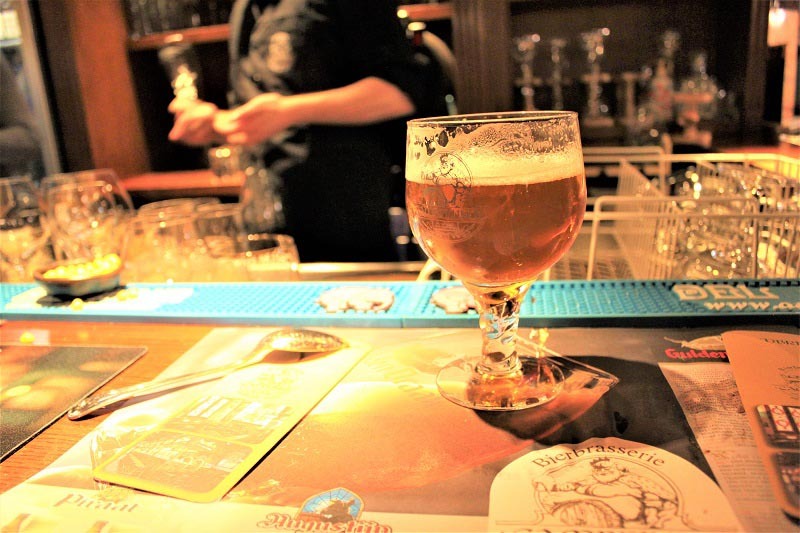 One of the most popular places to go for a tasting paddle is Le Trappist, the well-known cellar bar offering 100+ beers. A paddle here will run you €12 for five 150ml beers. One of the best bangs for your buck when experiencing Bruges on a budget is the canal tour. There are a few operators in town which all cost about €8 for a thirty-minute tour, which is all the time you need. Fun fact: the canals are blocked off and don’t actually go anywhere. They are also closed to private boat traffic so the only activity you'll see on the canals are tour boats. Fun fact #2: the locals swim in the canals in the summer. Thirty minutes on the boat will allow you to see the whole city and take in the history via your knowledgeable tour guide. If you are traveling in the colder months, I’d recommend grabbing a hot chocolate or other hot beverage to keep you toasty since all of the boats are open air. These are some of the highlights that allowed us to have an incredible time exploring Bruges without breaking the bank. Visiting the Choco Story and Friets Museum on a combined ticket (€13) that includes discounted fries and chocolate samples. And hitting the art scene at the Groeningemuseum (€12). 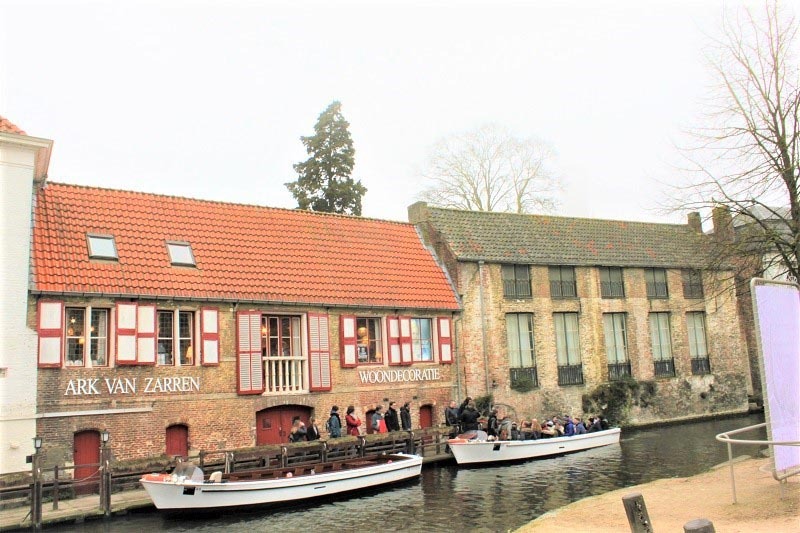 No matter whether or not you are seeing Bruges on a budget, with these tips it is hard to not have a magical weekend in Bruges. 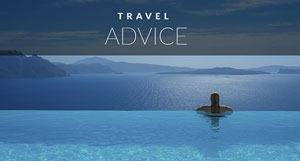 Originally from Brooklyn, NY, Jill is the author of travel blog Travels & Tribulations. 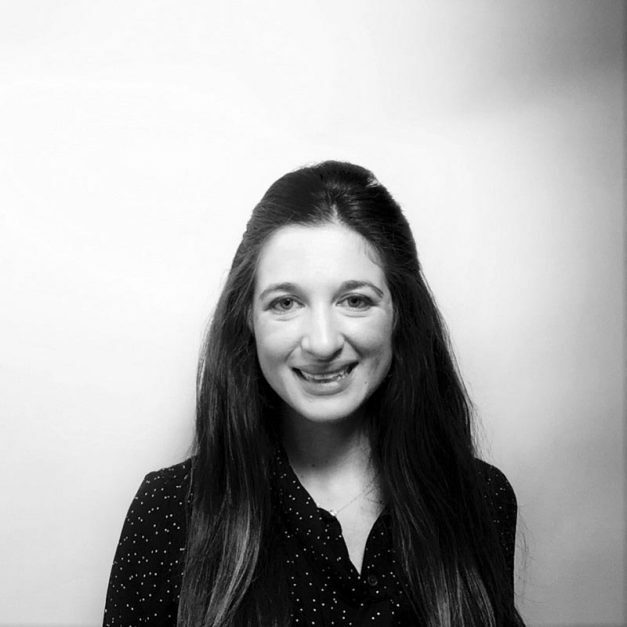 Her writing covers the highs and lows of being an expat abroad as well as budget-friendly tips and itineraries. Follow along on Instagram, Pinterest, Facebook or Twitter. 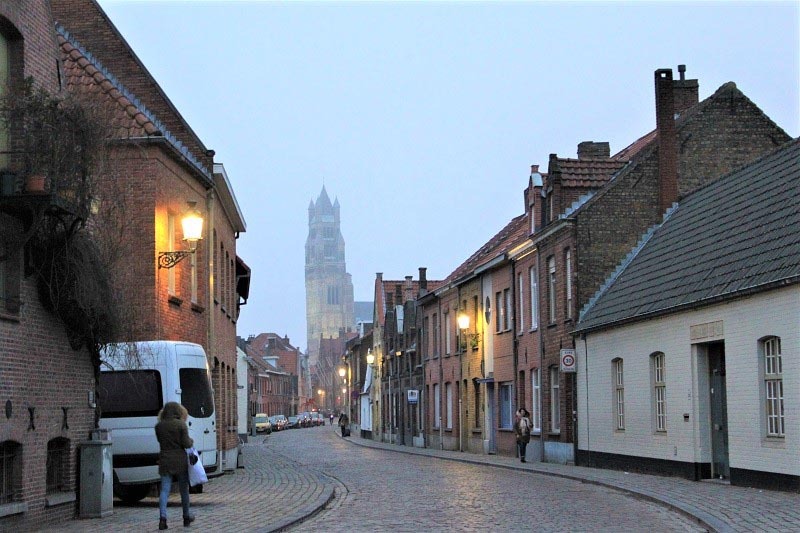 9 Responses to "How to Spend a Weekend in Bruges on a Budget"
Bruges is one of the most famous and beautiful cities in Belgium, but unfortunately many tourists “forget” and don’t vistit the beautiful medieval city of Ghent. Totally unjust if you ask me but nice article about Bruges. Thanks! I’m also planning to go to Brugs Soon this experience has a lot mean for us. 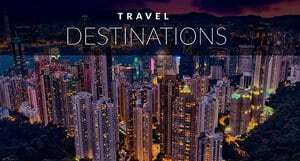 I’m Living in UAE and Planning to Go for this trip with family. I must say, though, that I preferred Ghent to Bruges. Much more quaint, without tourist crowds and with a great vibe. I usually recommend other travellers to combine the two. As touristy as Bruges gets, it still shouldn’t be skipped. thanks for sharing your travel experience, Really helpful for me. i really appreciate it. Me, my wife and my Daughter are gonna go to Bruges now. Bruges sounds nice to me. After reading your entire post we are planning to visit Bruges. I’m crazy about beer so when we reach there, I would like to visit the Local Pub & want to taste local beer. oh, This is a really informative post. Bruges city is so beautiful, As I read your post, I think you have enjoyed it very much in Bruges. 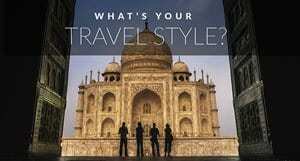 Thanks for sharing your travel experience. Bruges and Brussels are the two cities of Belgium which I want to explore. Thanks for sharing your experience this is really very nice and amazing. Such a great information! Actually we are planning to go Bruges and spend day there. This post is really helpful for me.